It's that time of year when people look to clear out unwanted items and eBay has become the most popular way of selling these items. Now St George's Kidney Patients Association has become a member of the eBay for Charity Scheme. It offers our supporters a way to further help us. The scheme allows sellers to donate a percentage of any proceeds from a sale to charity. 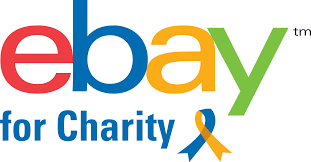 eBay reduces their fees so that their are none applied to the percentage donated to the charity. No fees are paid if 100% is donated. So whether you were planning to sell items anyway or there items that you would like to sell for our benefit, you now can. For more information about the scheme go to eBay. For more information about how about how to set us up as a beneficiary please read here.